Tourmaline is a highly coveted and desirable semi-precious gemstone that comes in an extensive variety of colors and durability. To read more about tourmaline in general, visit our article, “Taken By Tourmaline?”, which offers a comprehensive overview of the stone, and its colors and properties. In this article, we’re going to take a look at the various types of tourmaline, and go into greater detail. 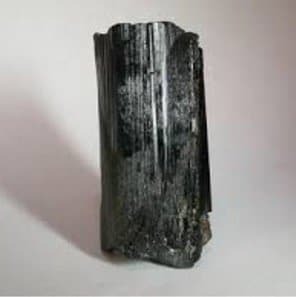 So, within the entirety of tourmaline are dozens of different minerals that, though all belonging in the tourmaline family, differentiate extensively from one to the other – the following is a list of the most popular forms of tourmaline. 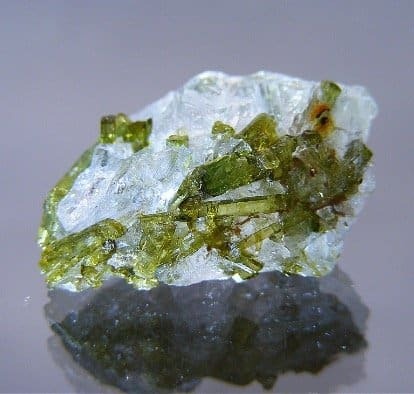 Achroite is the Greek word for colorless, so it might not come as much of a surprise that achroite is the colorless form of tourmaline. Though stunning and extremely durable, achroite tourmaline is highly coveted by gem collectors and rare – making for an expensive addition to a wedding or engagement ring. Buergerite is another rare form of tourmaline, even moreso than Achroite. 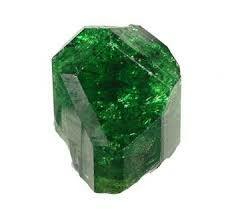 Buergerite is extensively sought after by miners and gem collectors alike but this stunning stone is hard to come by. 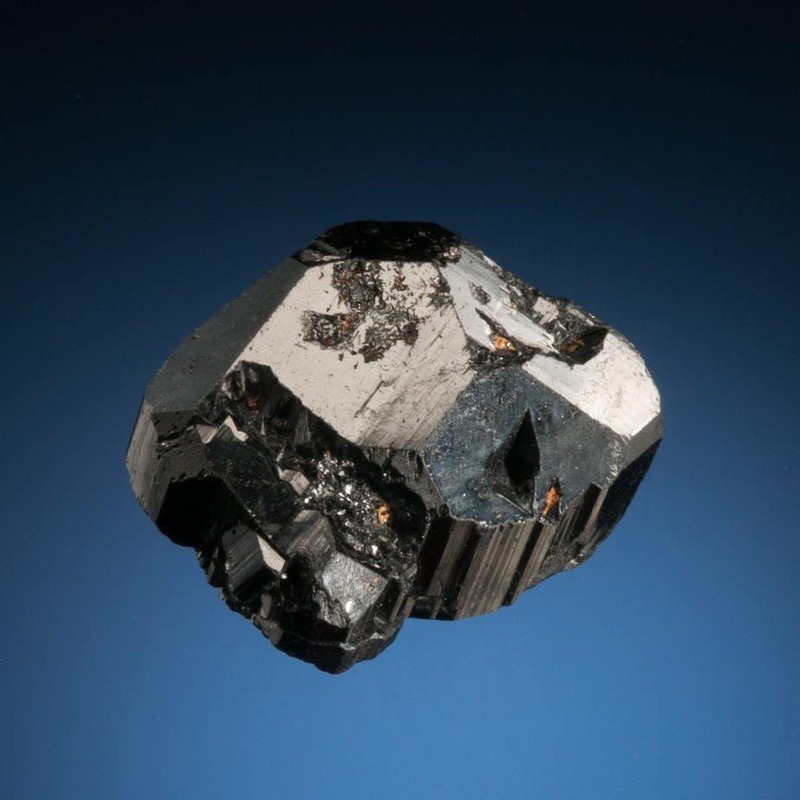 Buergerite comes in a variety of shades ranging from yellow to bronze, all of which possess secondary shades of black. Canary is a very popular form of tourmaline. This stone is most commonly found in smaller sizes, so a large and inexpensive canary gem might be suspect. 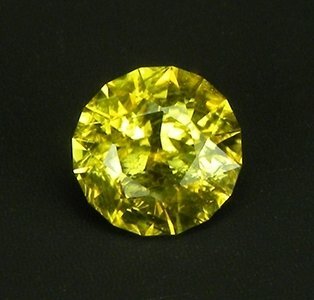 Canary tourmaline is highly demanded due to its eye catching color – neon yellow with hints of secondary greens. Due to the desirability of a bright yellow canary tourmaline, the value of the stone increases with the brightness of the yellow. 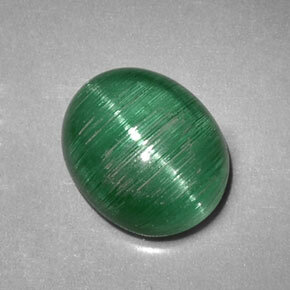 Cat’s Eye Tourmaline are the name of a forest green variety of the stone in which the pattern of the color, combined with the quality of the lighting, create a cat-eye like slit across the stone. This form of tourmaline is rare, though more readily available in larger sizes than it is in small ones. Chrome Tourmaline is a type of Tourmaline most commonly found in the regions of South Africa. Chrome Tourmaline is characterized by its chromium compound that gives it an intense neon green color. Chrome Tourmaline does sometimes have secondary yellow or blue hues, but the most valuable chrome Tourmaline is primarily green. This stone is rarely found in large cuts. Dravite Tourmaline sometimes goes by names that characterize its color – Champagne Tourmaline and Brown Tourmaline – both being accurate description for the range of color of this stone. Dravite is a common form of tourmaline making it an affordable option for a bride of groom looking for an earthy opaque stone to embellish their ring. Elbaite is bi or tri colored Tourmaline stone and the type of stone tourmaline is most known for. The color combinations of elbaite Tourmaline are endless, though the most popular is green and pink, which then result in what’s called watermelon tourmaline. Elbaite ranges in value, though the most valuable Elbaite tourmalines are those that have clear distinctions between their colors and even color distribution. Although foitite tourmaline is rarely used for jewelry, it’s worth the mention as it is a highly coveted form a tourmaline. This stunning tourmaline can be either opaque or transparent and comes in a beautiful dark shade of indigo with purple and black tints throughout! Indicolite is a form of tourmaline that obtains its color from its iron properties. 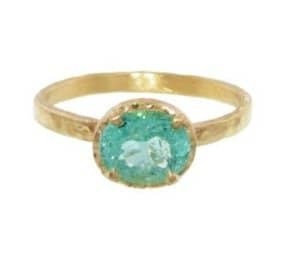 This form of tourmaline ranges in color from a light blue to an aqua-like green. Indicolite tourmaline is generally rare but it is the most rare when it is blue. Indicolite is translucent and has an admirable amount of brilliance, making it a wonderful addition to any wedding or engagement ring. Liddicoatite tourmaline is a calcium rich tourmaline that carries extensively in color, often times possessing visible streaks of a secondary color in the primary color. Liddicoatite colors are oftentimes dull and the tourmaline itself is pretty brittle, so this can be a tricky mineral to use in jewelry – though it is doable with proper craftsmanship and polish. Magnesiofolite is the name for a transparent tourmaline that comes in a bluish-gray shade. This form of tourmaline is brittle and doesn’t fare well with jewelry making, but its rarity makes it a popular mineral amongst gemologists and gem collectors. Olenite is another form of tourmaline that isn’t fit for jewelry production, though it is highly sought after by gem collectors. Olenite is rich in aluminum and is found in the form of crystals that range in color from light pink to light blue, commonly streaked with white. 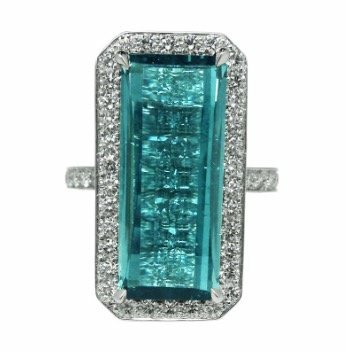 Paraiba is considered one of the most precious forms of tourmaline in the world. This valuable stone gets it’s color from the presence of copper, and possesses vibrant neon shades that range from neon blue to neon green. Color is the most important factor when valuing this stone, with a rich neon colored 1 carat stone going for $8,000, and sizes over a carat going for twice the price! If you want a truly unique wedding or engagement stone, and have a little extra cash to spare, this might be the perfect stone for you! Povondraite is a form of tourmaline that is rarely seen in jewelry. This form of tourmaline sometimes goes by ferridravite and it was once considered a member of the Dravite family, acquiring the name povondraite once it acquired its own stature. Although it is rarely seen in jewelry, this opaque stone is highly desired by gem collectors due to its mysterious dark brown, almost black, coloring. Rossmanite is a relatively recently discovered form of tourmaline, discovered as recently as 1996. Unfortunately, like many other forms of tourmaline, rossmanite is not often used in wedding or engagement rings due to its brittle nature. Although it isn’t often used in jewelry production, this colorless crystal with pink undertones and white streaks, is a beautiful collectors piece and may develop a popularity in the jewelry world in years to come. Rossmanite is a form of tourmaline to keep an eye on! Check out 5 Funky Pink Tourmaline Engagement Rings we’ve chosen! Rubellite is one of the most popular types of tourmaline, and understandably so! This beautiful gem is sometimes called Pink Tourmaline due to its stunning pink coloring and desirable brilliance. In terms of value, rubelite increases in value with the increase in brightness of its color. A treated Rubelite will also have a peach-like undertone – though this form of the stone is undeniably more natural, it’s also less desirable and significantly less valuable. Rubellite plays an extensive role in jewelry history, as it was often mistaken for Ruby because of its bright pink and red tones. 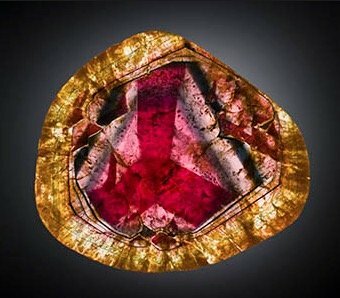 Peter the Great, for example, looked to rubies when creating jewelled items for the Russian Imperial Court – rubies, that years later would be identified as Rubellite. 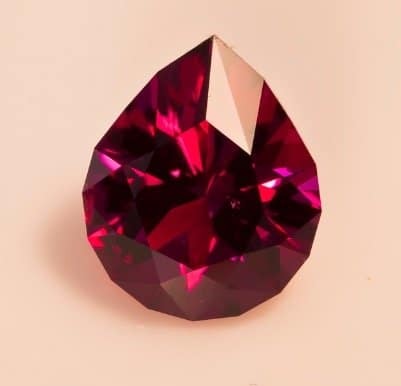 Because of its history, Rubellite is repetitively seen in vintage and antique jewelry. For more information on antique and vintage jewelry, visit our page dedicated specifically to it. 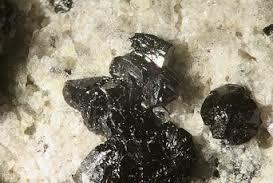 Schorl is not only popular amongst the tourmaline world, it makes a name for itself in the gemstone world as well. 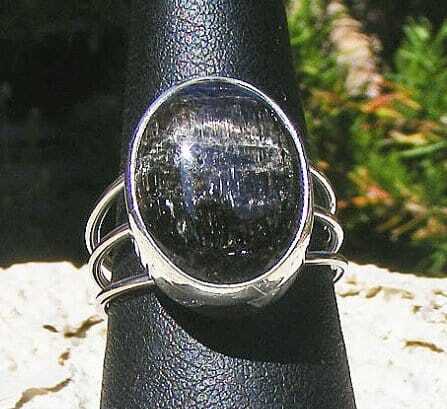 In fact, this opaque stone is considered the most popular black stone and is often seen used in stunning, mysterious and unique wedding and engagement rings. This popularity results in the depth of this stones color along with with its captivating luster. 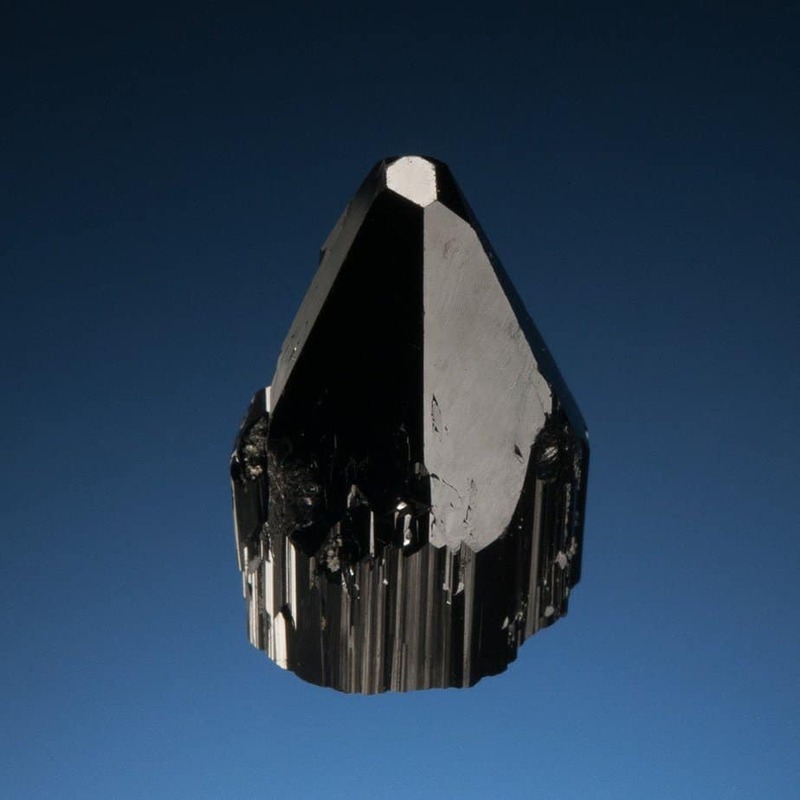 For a black stone, schorl is also an impressively hard stone, ranking between 7 and 7.5 on the Mohs hardness scale. If you’re looking for a stone that’s as unique as it is reliable, schorl is an impressive option. 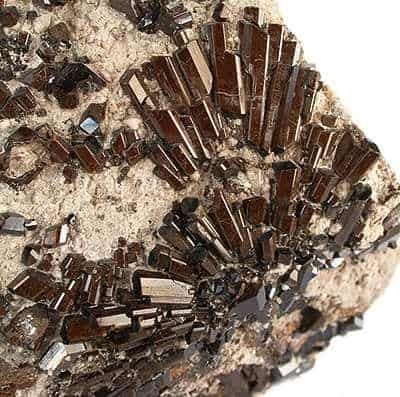 Tsilaisite is another form of tourmaline that is rarely used as a decorative piece for jewelry. Tsilaisite is naturally found in a stunning olive hued green, though unfortunately, finding this stone consisting of perfect color is rare. 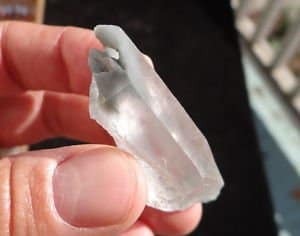 What this stone has in unarguable beauty, it lacks in luster and cleavage, resulting in a captivating stone that is rarely utilized for its full potential. However rare it’s use may be, there are jewelers who enjoy the challenge of this stone, and there are rings that utilize it – with that, tsilaisite is a great option for a bride or groom that desire a ring that is one of a kind! Uvite is a type of tourmaline that is commonly found in crystal formations. Engagement and wedding bands made from this tourmaline typically consist of small piece of stone stacked horizontally or vertically. Uvite is typically a brown stone with undertones of red or green, and its composition is short and stubby. Through history Uvite has often been mistaken for Dravite as a result of their ornate similarities. 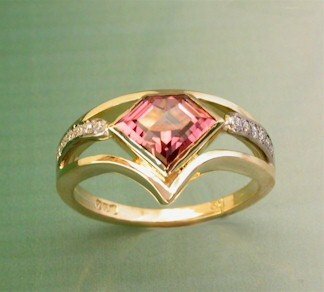 Uvite is a wonderful choice of tourmaline for a natural and earthy wedding or engagement ring. Verdelite is the most popular form of green tourmaline and is often interchangeably called “Green Tourmaline”. Though often mistaken for Chrome Tourmaline, Verdelite does not possess any chromium – making it a different stone. Another difference between Verdelite and Chrome Tourmaline is in the fact that Verdelite is available in a wider variety of greens than Chrome Tourmaline, including widely popular shades of mint green and sea foam green. Additionally, Verdeline is significantly more affordable that Chrome Tourmaline, making it a wonderful option for a bride or groom hoping to buy a green gemstone studded wedding or engagement ring on a friendly budget. Watermelon Tourmaline is a bi-colored Tourmaline stone that is the most popular form of Elbaite Tourmaline and, as such, deserves a subheading of its own. Watermelon tourmaline is characterized by its pink and green coloring – though the arrangement of the coloring may vary. 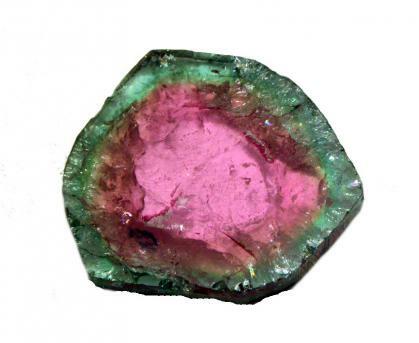 In a watermelon tourmaline stone, the colors can go from pink to green in a line or the can have a border of one color and inner sphere of the other – allowing the fan of this stone room for variety. 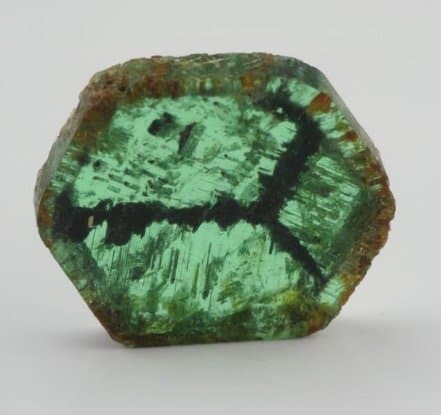 A watermelon tourmalines value will rely on the intensity of its colors, the evenness in distribution of its colors, and the intensity in distinction between the two colors when they meet. Watermelon is a fun and unique stone for the bride or groom that wants to add some pizazz into their big day. 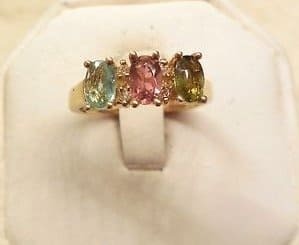 Tourmaline is a beautiful and versatile stone and makes a perfectly unique addition to a wedding or engagement band regardless of metal type. If you have any additional questions as they apply to this timeless stone, or to tips of shopping for it, leave us a comment in the space provided below.